I'm Not Skinny: Meh, Valentine. 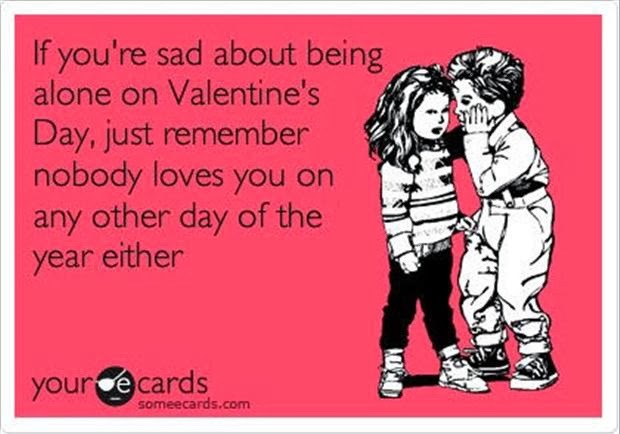 I've never been one to love the Valentine holiday. It's always seemed a bit silly to me...and yes silly even when I wasn't 30 years old with two cats and single! I mean, you buy a card for someone that inevitably is thrown away, perhaps some flowers, share a meal but really aren't those things that should happen anyway? Why does it have to be all pink and red and scheduled? Yuck. Well anyway, for those of you who don't echo my sentiment. Happy Valentine Day. Just for fun here's a fun song by The Divine Comedy because 'I like' you.